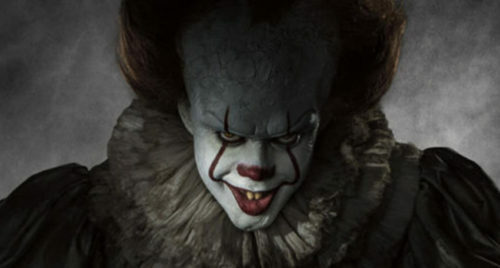 The phrase gets tossed off in Muschietti’s film, an acknowledgment of one of author Stephen King’s character bits, but actor Bill Skarsgard is left plenty of room to create his own take on Pennywise. 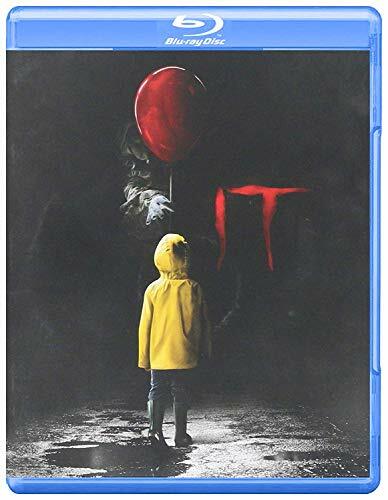 And as the blu-ray extra “Pennywise Lives!” explores, it was a combination of both director and actor that fused to add a new level of effectiveness to the character. If you enjoyed the film and are interested in picking it up, let’s not spoil it except to say that Skarsgard’s performance owes a lot less to computer graphics than you may have thought. Certainly he was terrifying enough to scare the heck out of the young actors portraying the Losers’ Club, featured both in “Pennywise Lives!” and an extra of their very own. 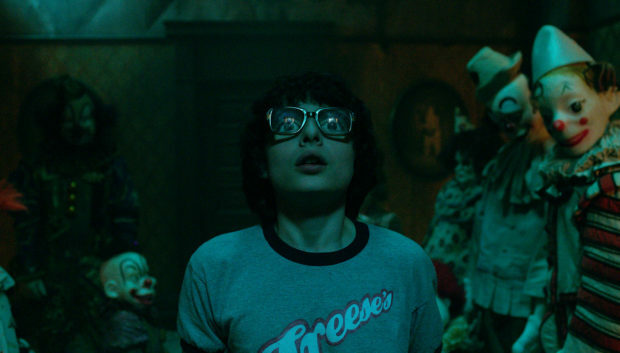 There’s often something disconcerting about how prepossessed child actors can sound, and Stranger Things’ Finn Wolfhard clearly has a lot of the actors’ press junket jargon down, but it’s also clear that he and his friends were unnerved by Pennywise. Both pieces pay testament to what a strong director Muschietti is, supported by his co-producer sister Barbara Muschietti. Though allowing the kids (and clown) plenty of room to explore the story, there’s no denying the end result — tight, effective, and in some places stronger than King’s novel. Muschietti gets child actors, and also cast an extremely talented group to face the evil of Derry, Maine. The third extra focuses on King and the things that influenced his creation of Derry and the Losers’ Club. A little bit of exaggeration here, a little co-opting of Bangor, Maine legends there, and a whole lot of imagination went in to create IT, and the film (and the necessary sequel) can still only provide a small part of it. By including deleted and extended scenes, the blu-ray proves that point. Though Muschietti’s final cut plays out satisfyingly, he still had a lot of directions he could have explored. Some come off as mawkish, but in context maybe not. 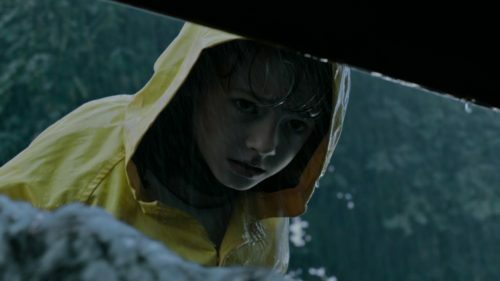 There’s one scene with Stanley Uris (Wyatt Oleff) that I kind of wish had stayed in — the real moment that the serious Stan doesn’t just accept Pennywise’s existence, but the town’s complicity in it. That’s an idea that Muschietti subtly weaves throughout, adding a level of creepiness to the story that the mini-series didn’t have. As always, the extras only work if you’re into the film, and I am. As a horror film, it’s not so much terrifying, but it’s got that mixture of dread and humanity that reminded me why I went through an intense Stephen King reading jag in high school, and why he’s a pleasure to return to from time to time. There’s a reason that King has stayed so popular for over forty years, and Andy Muschietti’s take on IT gets it.